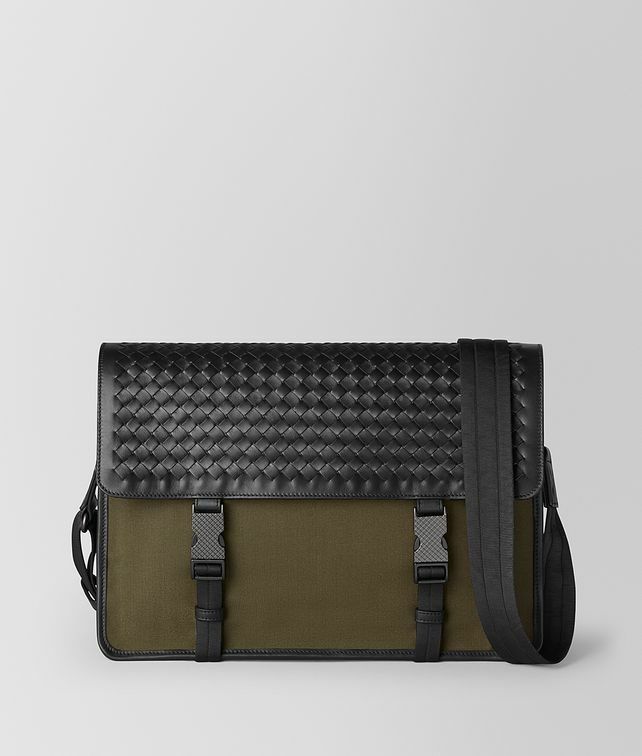 This slender messenger bag is crafted from lightweight canvas and accented with a woven intrecciato flap. The style, new for Cruise 2019, features two metal buckle fasteners engraved with the intrecciato motif and nappa trim that emphasises the square silhouette. It is equipped with an external button pocket, an interior zip pocket and two smartphone pockets. Finished with an adjustable nylon shoulder strap. Height: 26.5 cm | 10.4"
Width: 36.5 cm | 14.3"
Depth: 9 cm | 3.5"